More capable off-road than it looks. Might be hard to maneuver in the city. 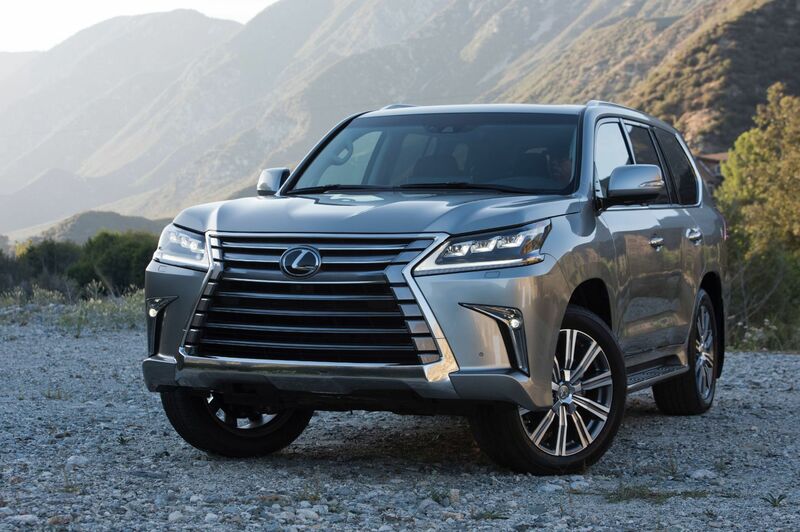 The 2019 Lexus LX 570 is big and comfortable, with power to spare and great off-road ability to match. 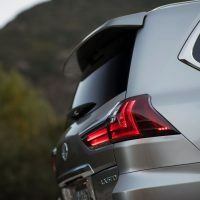 If you want to get away from civilization in luxury, or live where you need extra ride height, this is the SUV for you. 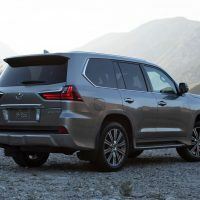 Given Toyota’s continued reputation for quality and reliability, the Lexus LX could be better suited to handle your family’s needs than the competition. 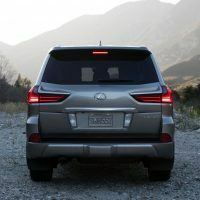 The week, we’ve been driving the 2019 Lexus LX 570. 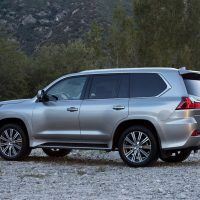 Aside from an optional Luxury package, the Lexus LX 570 has no major changes for 2019. Minor ones include a digital clock in multi-information display. 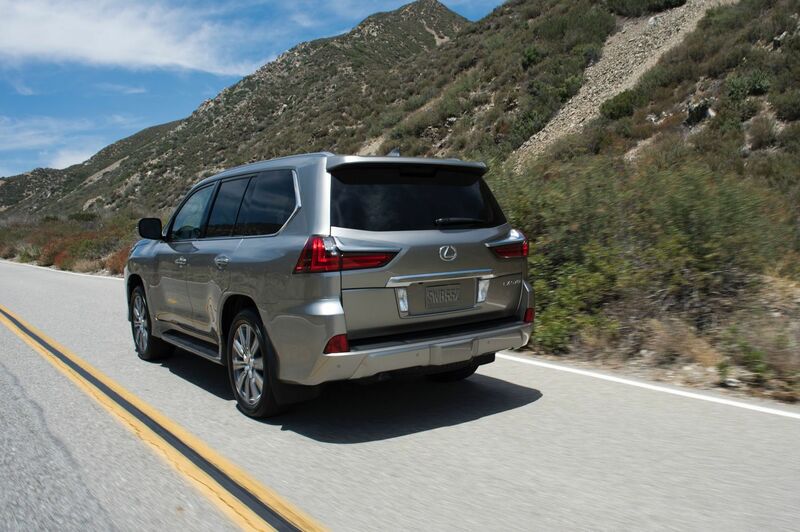 A rare version called the LX Inspiration debuted in Los Angeles last year. 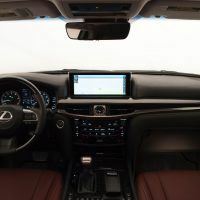 The two-row Lexus LX 570 ($85,830) seats five and features a sunroof, keyless ignition and entry, four-zone automatic climate control, leather upholstery, heated and ventilated front seats, power-adjustable front seats, driver-seat memory settings, and a 40/20/40-split second-row seat (folding, reclining, power-sliding, and heated). 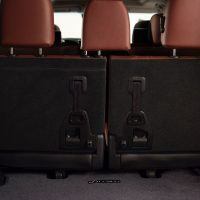 The three-row LX 570 also has a power-operated 50/50-split third-row seat that folds up against the cargo area sides. 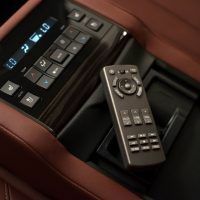 Infotainment features includes the Lexus Remote Touch interface (a 12.3-inch center display with a center console mouse-like controller), navigation, Bluetooth, and a USB port. 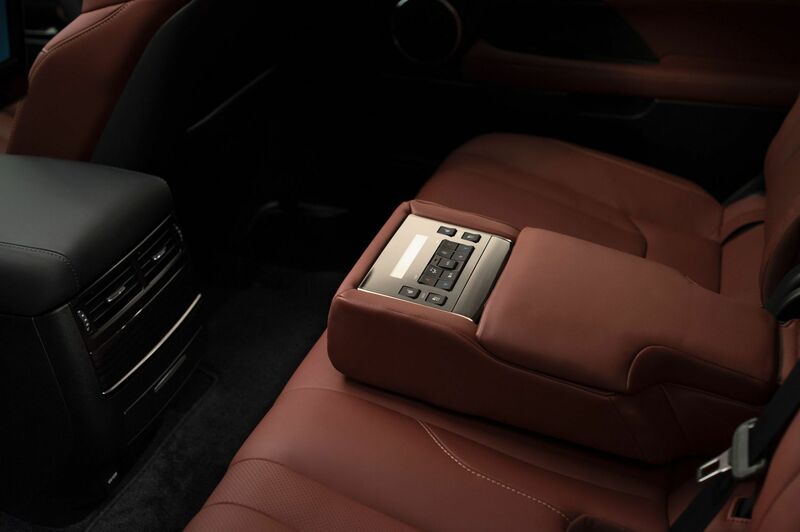 The Lexus Enform infotainment smartphone app suite compliments the nine-speaker sound system. 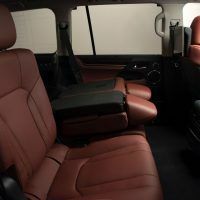 Outside it comes with automatic LED exterior lighting, power-folding and auto-dimming mirrors, automatic wipers, windshield wiper de-icers, running boards, a tow hitch, and a power liftgate. Related: A hybrid of the highest order. 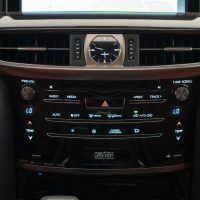 On the road with the 2019 Lexus LS 500h. 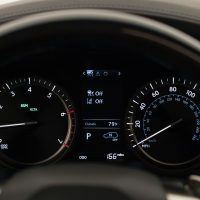 Standard electronic driver aids include forward collision warning with pedestrian detection, automatic emergency braking, blind-spot monitoring, and rear cross-traffic alert. 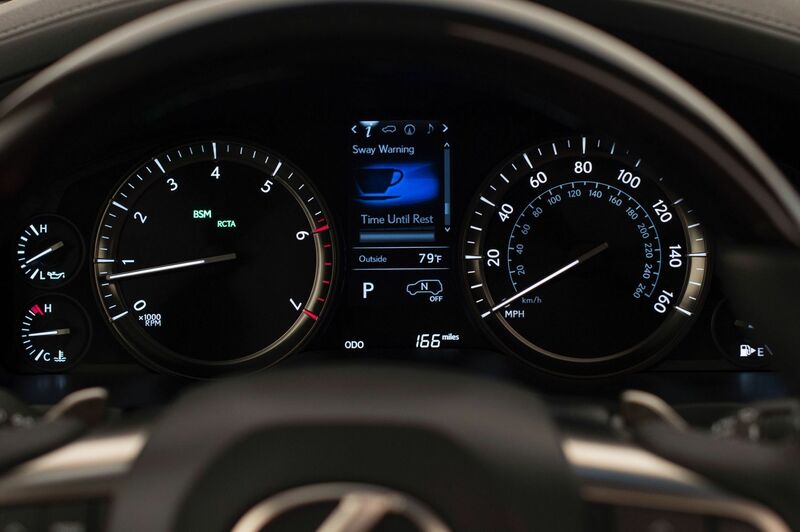 Lane departure warning, full-speed adaptive cruise control, a drowsy driver warning system, an automatic parking system, and multi-view parking cameras are also included. 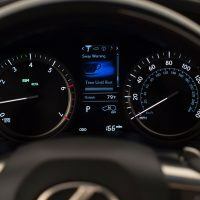 The Lexus Enform Safety Connect, complimentary for 10 years, includes a stolen vehicle locator and emergency assistance among other features. 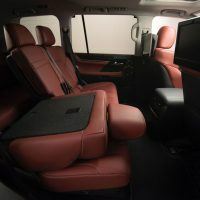 This LX 570 tester came with the new Luxury package ($1,190), adding heated and ventilated second-row seats and upgraded leather upholstery with contrast stitching. 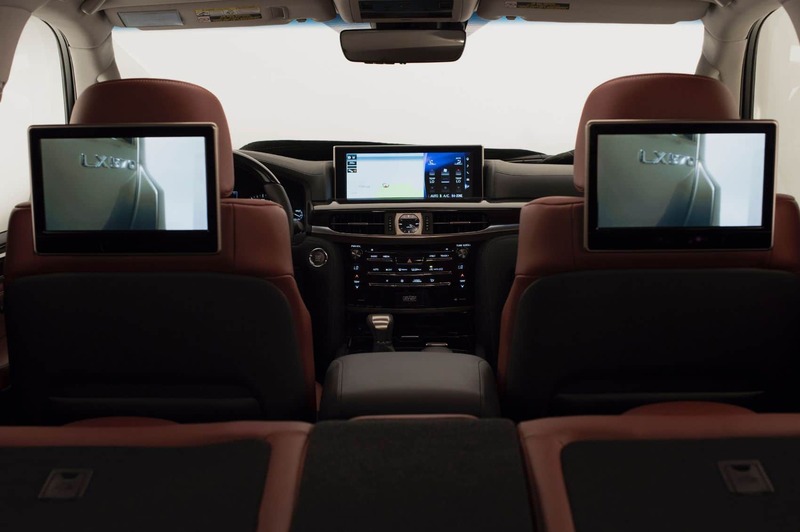 It also came with 21-inch wheels ($745) and a heated steering wheel ($150). 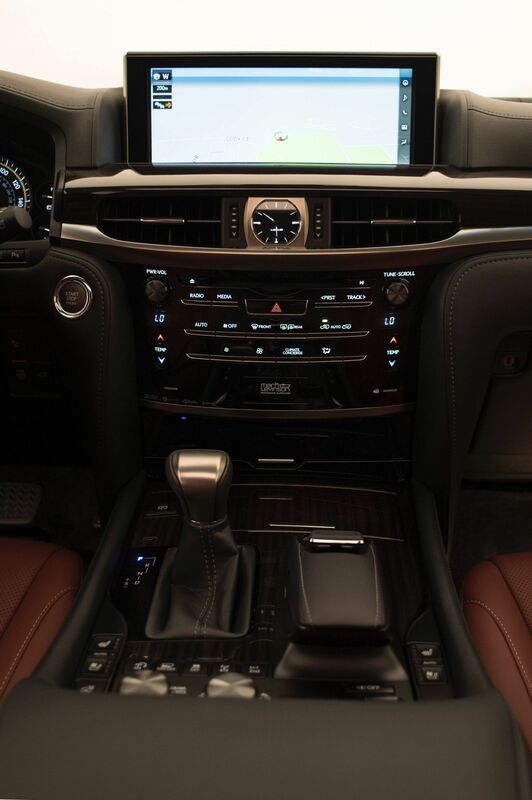 Total MSRP including destination: $88,940. 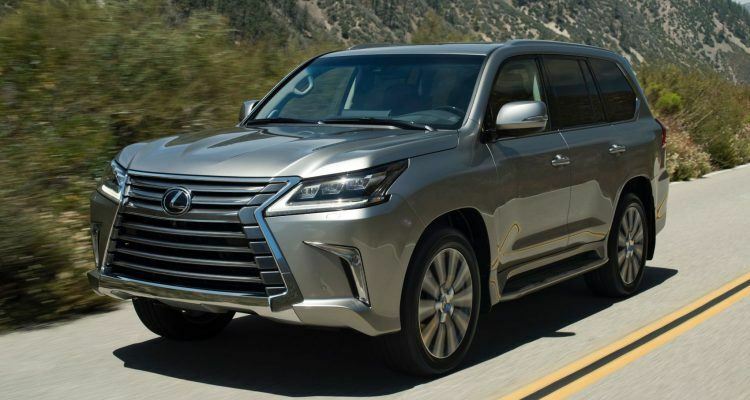 By comparison, the 2019 Lexus LX Two-Row starts at $86,080. 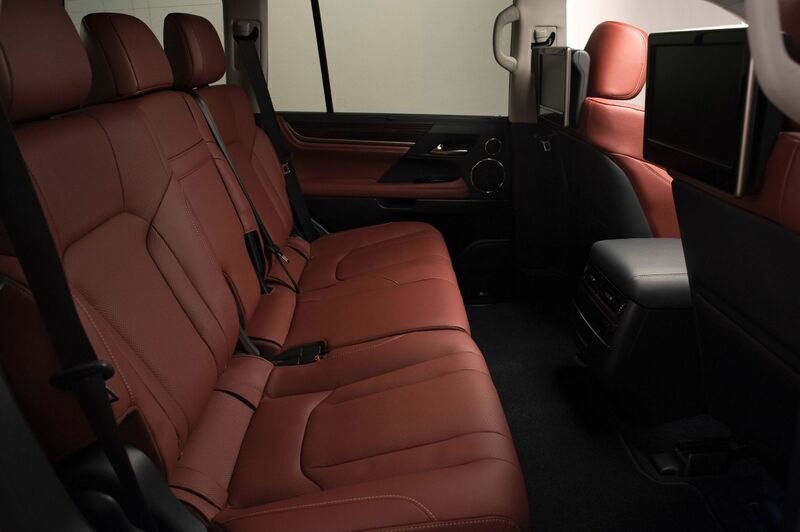 If you want roomy and comfortable, you’ve come to the right cabin. 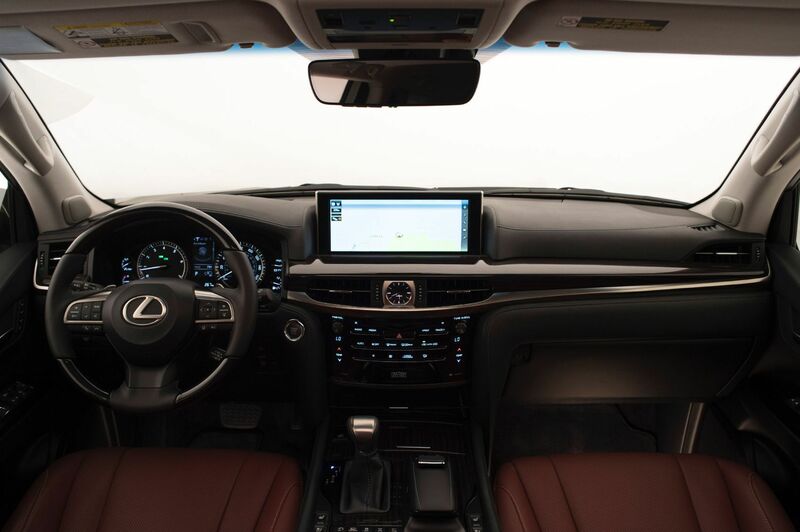 The Lexus LX 570 interior is well-crafted and offers the typical Lexus luxury we’ve come to expect form the Japanese automaker. 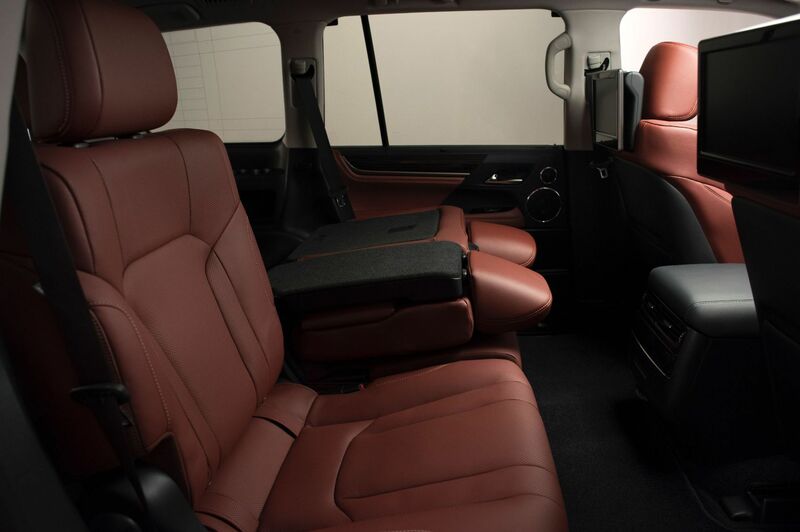 The front seats are plush and offer enough adjustments for any family member. We settled in this week and used the heated seats and steering wheel liberally as spring has not yet arrived in the Colorado Rockies. 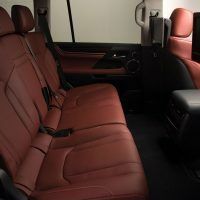 There’s plenty of room for an active family to enjoy the creature comforts, with large door openings, handholds, and wide running boards to help kids climb in and out. 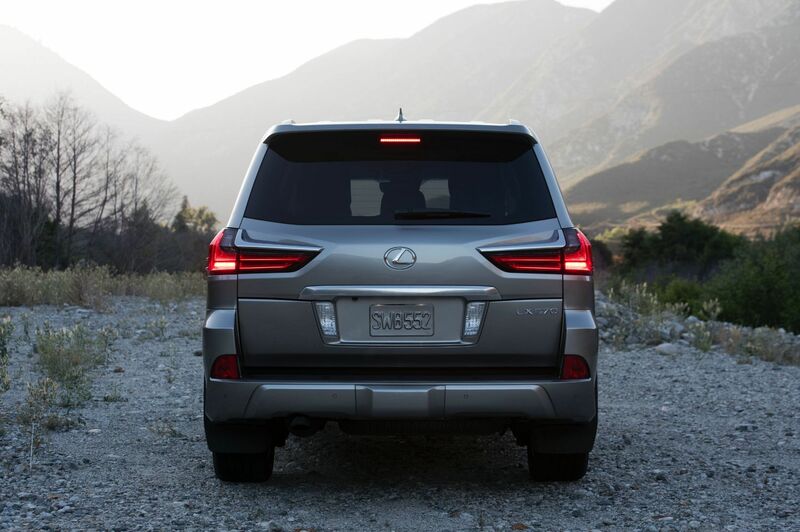 The LX 570 offers all the latest technology upgrades so you and your family can stay connected on the go. 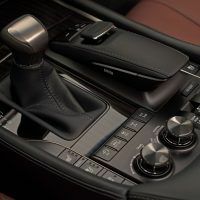 We did have an issue with the Lexus Remote Touch interface, which uses a small mouse on the console to adjust the audio, navigation, and climate control. It’s always been difficult to use and can be frustrating to figure out. 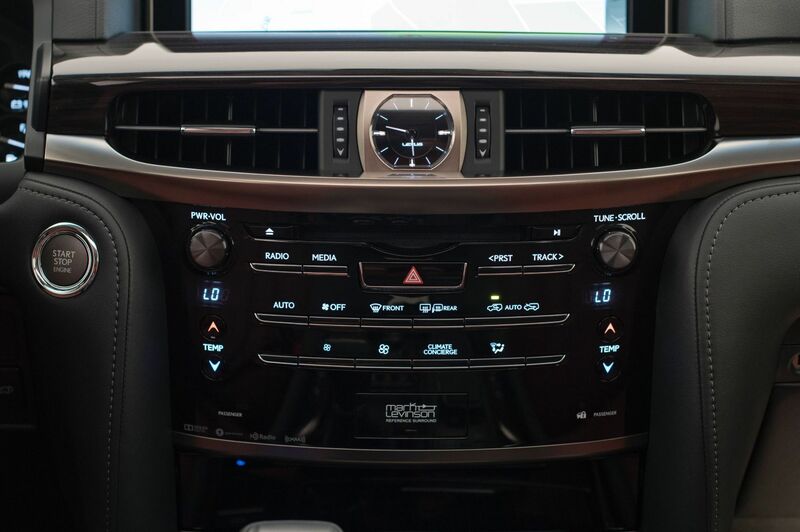 Some features are helpful, like being able to adjust the rear climate from up front, but overall, the interface is not user-friendly. 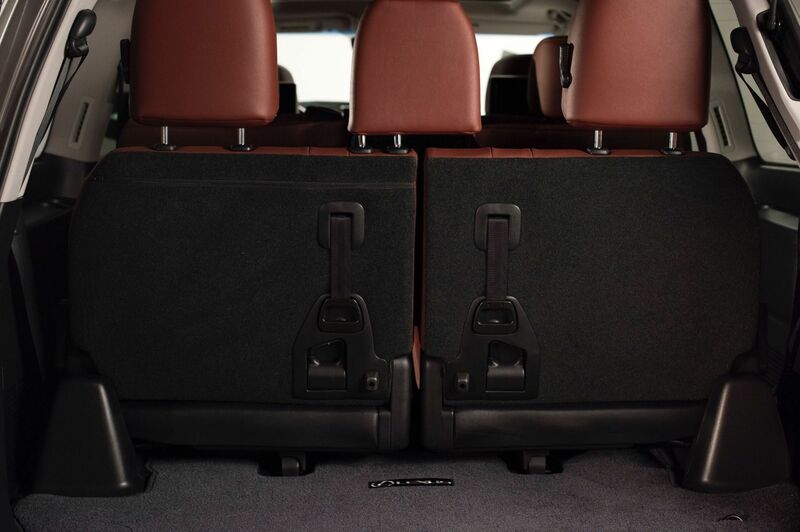 The rear seats seats easily fold up and slide forward to reveal a large cargo area if you need it. 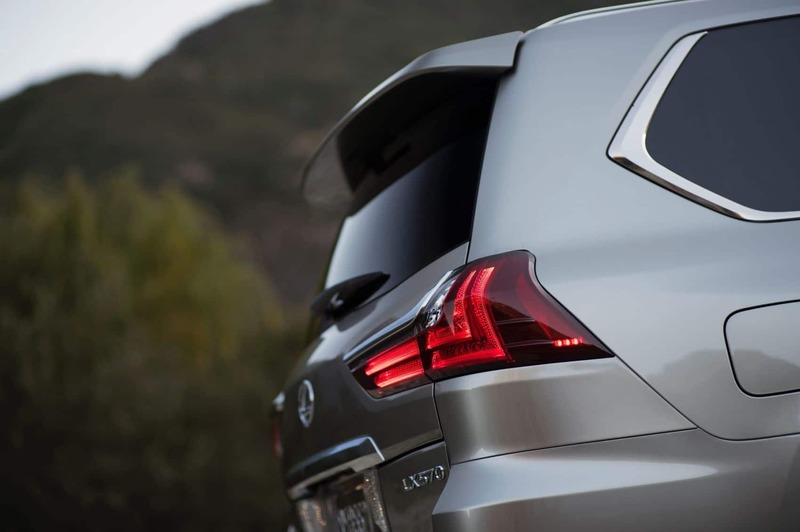 The split tailgate design is handy for loading groceries, but it can make accessing deep cargo difficult if you are loading bigger items. 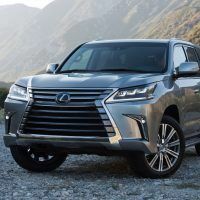 The 2019 Lexus LX 570 is powered by a 5.7-liter V8 producing 383 horsepower and 403 lb-ft. of torque. 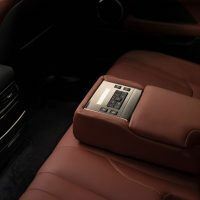 It comes mated to an eight-speed automatic transmission and a four-wheel drive system. 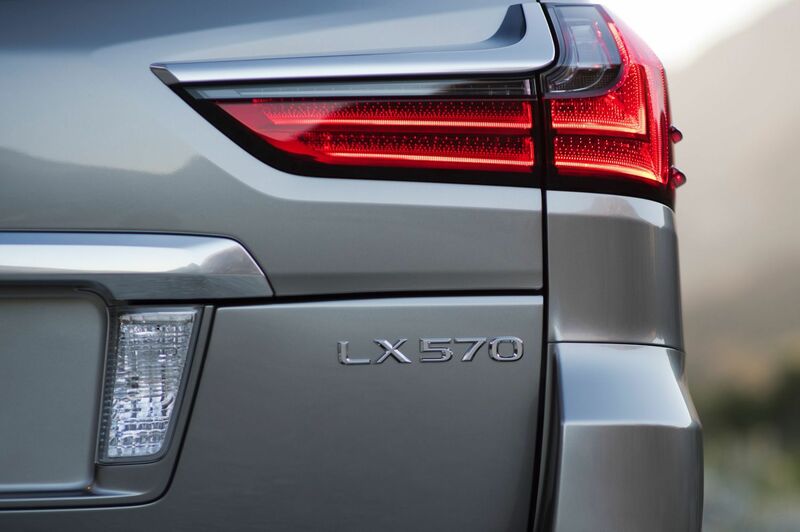 With 90 percent of that torque available at 3,600 rpm, the LX 570 can tow 7,000 lbs. 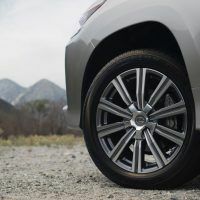 Other standard mechanical features include crawl control, hill-start assist, and multi-terrain select for low-speed and regular off-road use. A height-adjustable and automatic load-leveling adaptive suspension is also standard. EPA fuel ratings come in at 13/18 city/highway and 15 combined mpg. 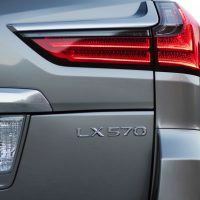 When compared to other similar vehicles, the LX 570 isn’t as promising in terms of fuel economy. 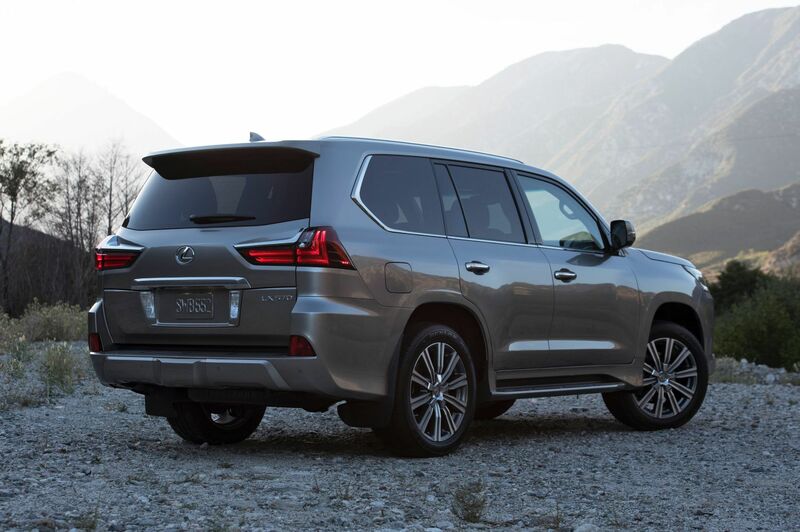 If you need power, the 2019 Lexus LX 570 and its 5.7-liter V8 will deliver it in spades. We tested the big 6,200-lb. luxury SUV in the mountains of Colorado where it takes extra “oomph” to get a vehicle like this moving. 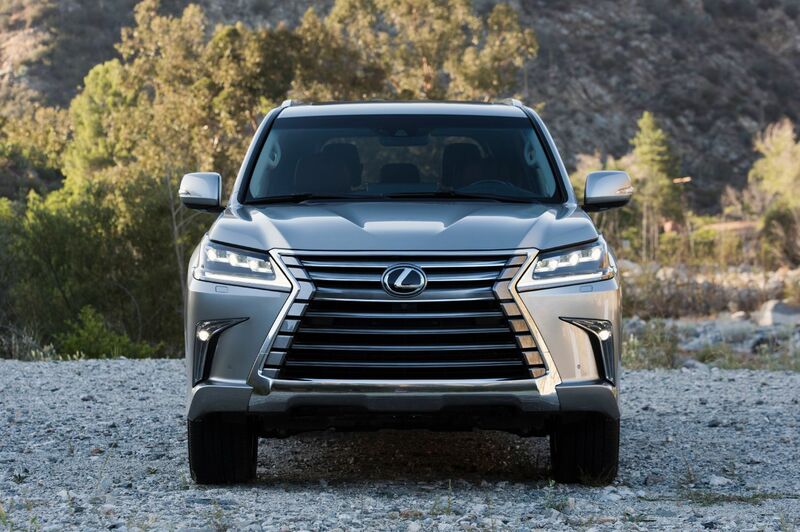 The ample torque in the V8 is ideal for hauling people and cargo up a mountain pass to go skiing, or for getting out of the city for the weekend. 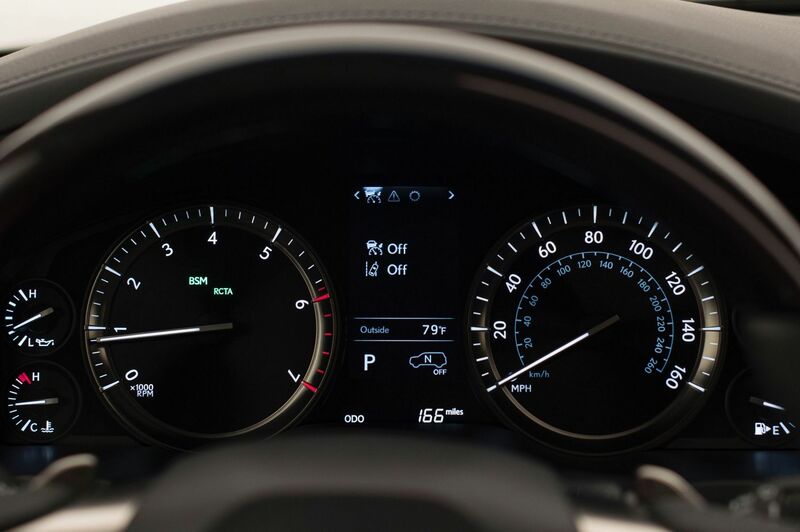 The only drawback is watching the fuel gauge steadily drop. The big V8 is not the most efficient, especially with a cabin full of gear and people. Inside, the cabin is quiet and insulates you from the noisy world outside. 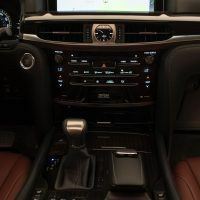 We commuted to Denver in heavy traffic and the big SUV’s safety tech gave us extra piece of mind. In terms of the ride, it’s probably in the eye of the beholder. 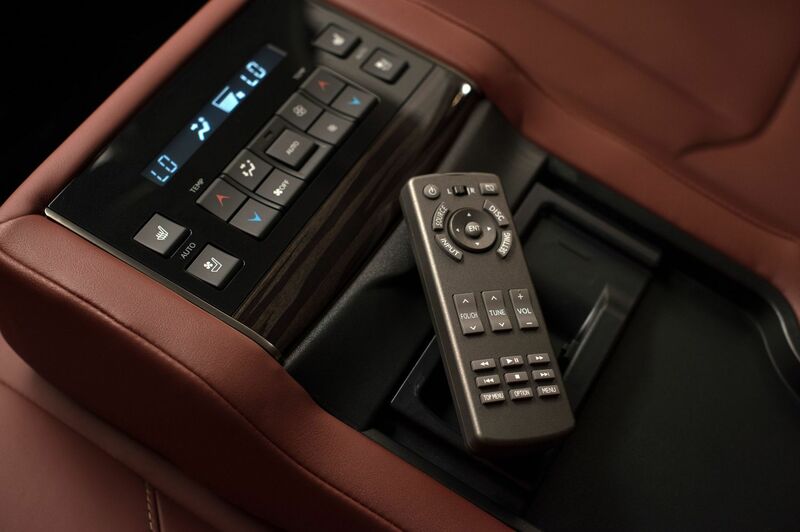 The ride is smooth and almost too cushy for our tastes in Comfort mode. 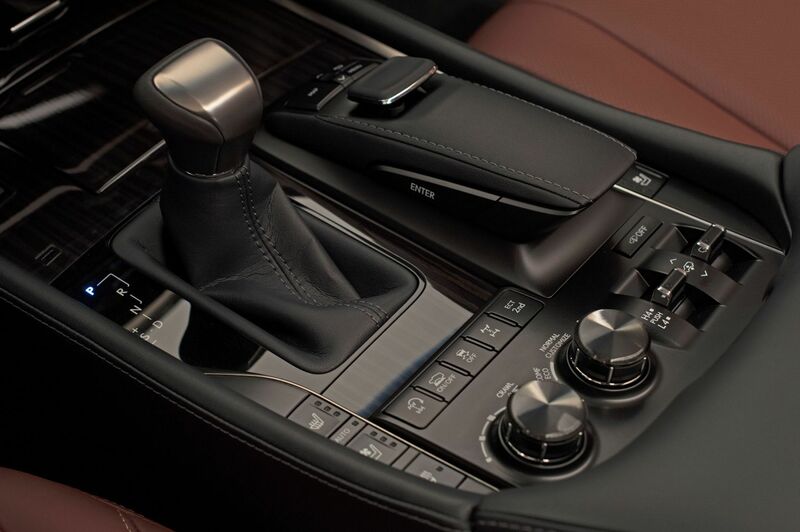 The Sport and Sport+ settings offset this somewhat, but then you’ve got a ride that might be too firm. 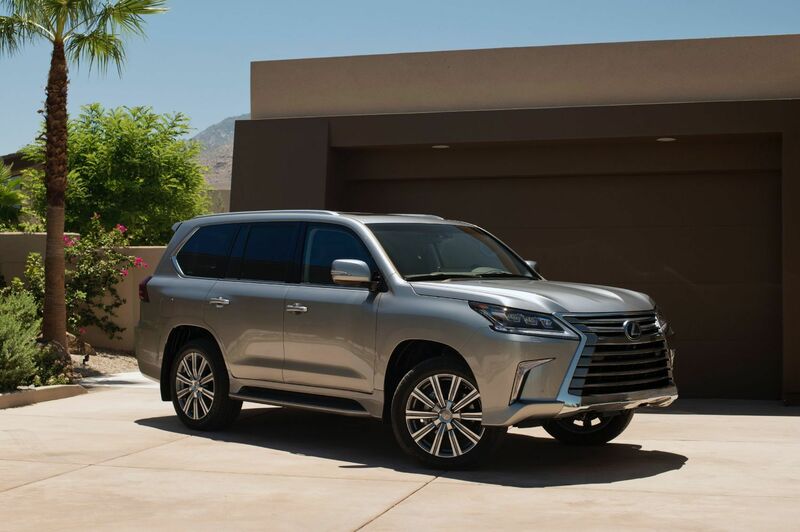 Families looking for an SUV for the north forty will want to consider the 2019 Lexus LX 570. It has an excellent traction management system and an adjustable suspension that offers extreme articulation. 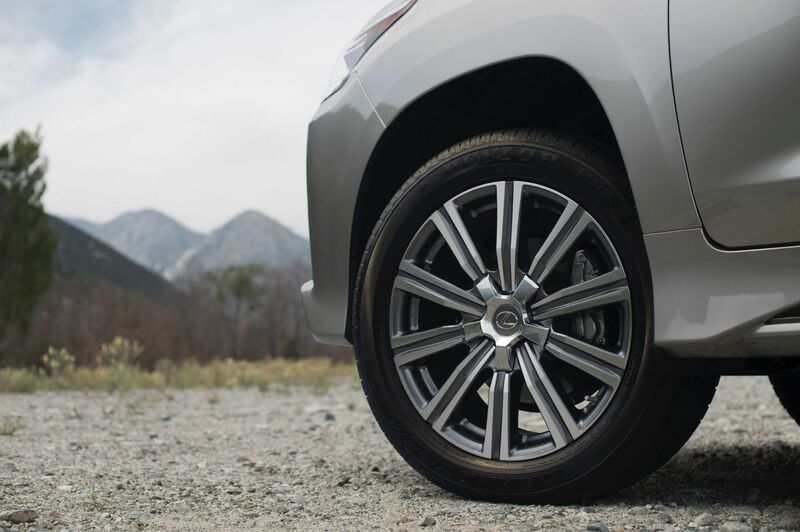 The suspension has the ability to give you extra ground clearance when you need it. You may want get the smaller wheels because the optional 21-inchers are obvious liabilities. 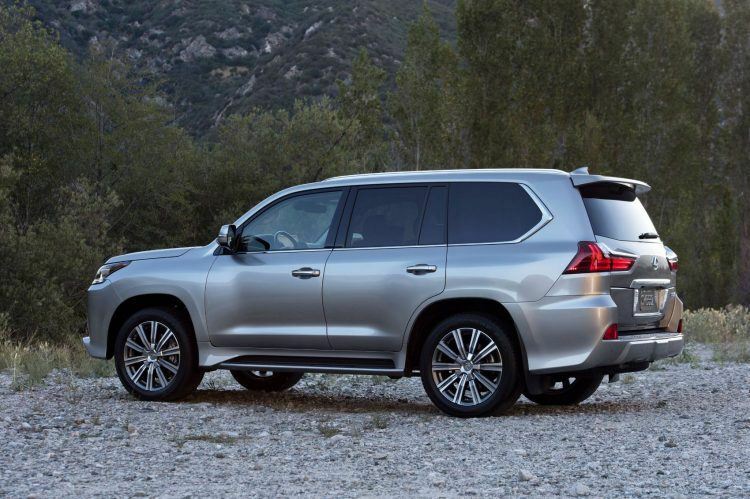 If you don’t need a third row, Lexus offers this two-row version of the LX 570. 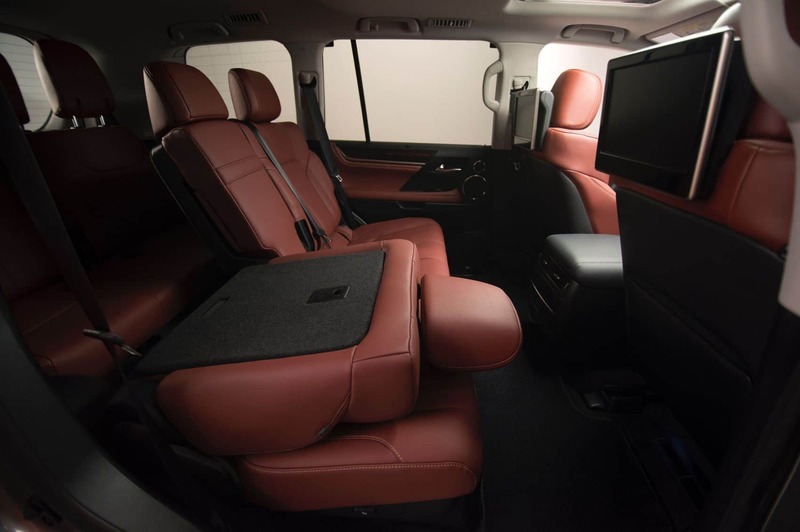 It’s a comfortable cruiser and highly capable when it comes to hauling an active family around. Plus, its off-road abilities make it a competent vehicle for those living in colder climates. 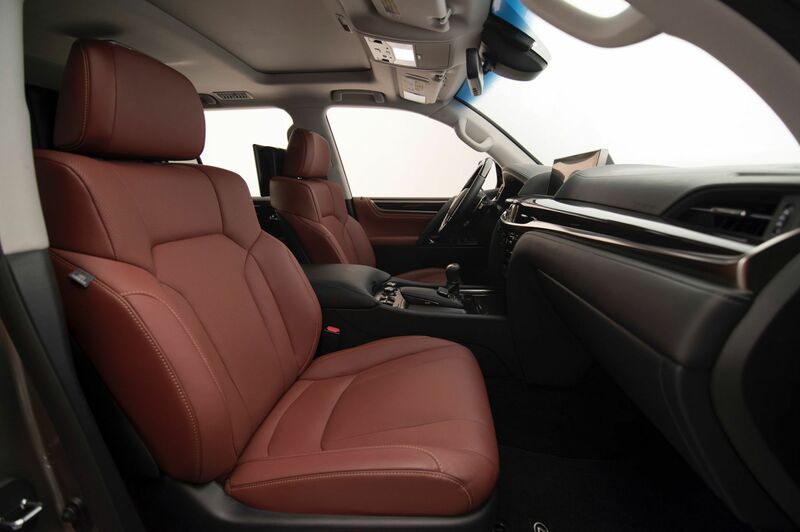 Should you still need more seats, the LX 570 is available with three rows for a starting MSRP of $91,080. 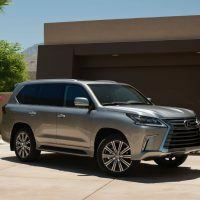 Photos: Toyota Motor Sales, U.S.A., Inc. (three-row models also pictured). 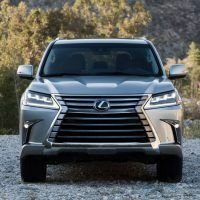 No Comments on "2019 Lexus LX 570 Two-Row Review: Powerful & Luxurious But Thirsty"